How do Asset Chapter 7 Bankruptcies Work? 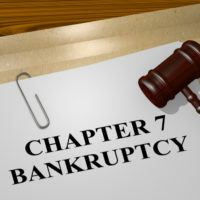 Chapter 7 is sometimes known as “liquidation bankruptcy,” as it gives the bankruptcy trustee the right to liquidate any non-exempt assets owned by the debtor and use those funds to satisfy creditors. If you’re considering filing for bankruptcy, you may be concerned about the liquidation process and wonder if that means you’ll be forced to relinquish your most prized possessions. Read on to learn a bit more about liquidation of assets by a trustee in an Illinois Chapter 7 bankruptcy filing, and contact a knowledgeable Chicagoland bankruptcy attorney for more information. Despite the “liquidation bankruptcy” moniker, those filing for bankruptcy under Chapter 7 do not usually own any non-exempt assets. They may own a car, a home, or family heirlooms such as jewelry, but, with the help of an attorney, they’re able to ensure that all their most valuable property is covered by an exemption, making it so that the property is not available to be used to satisfy any debts. When property isn’t protected by an exemption, it means that the bankruptcy trustee has the right to liquidate the property and distribute those funds to your creditors. Even if the trustee has the right to liquidate the property, they may decide against it. For example, some debtors may have an asset in the form of a right to sue someone for a debt. While this lawsuit could be successful and lucrative, the trustee may decide that it isn’t worthwhile to take the risk that the suit would be successful, or decide that attorneys’ fees would be too high to make it worthwhile to bring the suit. In other cases, the time and expense involved in liquidating the asset make the return too small to be worthwhile, such as where the asset is something like a purebred but older family pet, or used clothing. You may own property that is valuable, isn’t exempt, and isn’t very important to you. Let’s say you own a second car, or inherited a valuable piece of artwork from a relative. While you may appreciate these items, they aren’t crucial to your daily life. If the trustee decides to sell these items, the funds from their sale will go first to your priority debts, such as tax debts, unpaid child support or alimony, or student loans. These types of debts are not eliminated in bankruptcy, so using the value of items you didn’t need to pay down those debts can help you in the future by reducing the amount you owe on the debts. If you would like to speak to an experienced professional about whether filing bankruptcy is the right solution for you, contact the knowledgeable and compassionate Carol Stream bankruptcy lawyers at Johnson, Westra, Broecker, Whittaker & Newitt for a consultation on your case, at 630-665-9600, with additional offices in St. Charles and Chicago.